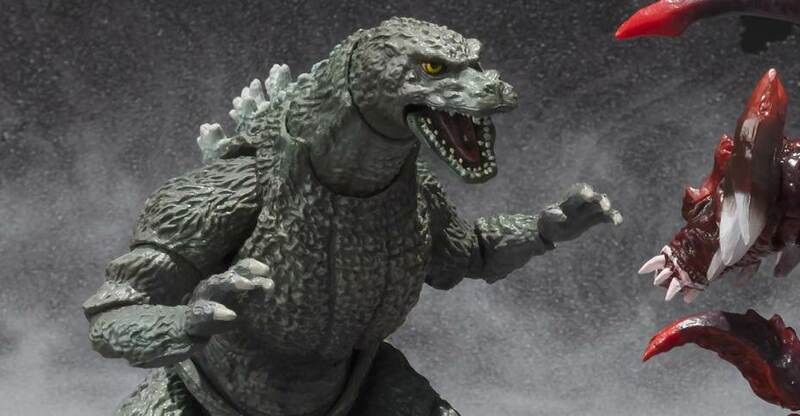 Tamashii Nations is going to re-release their Godzilla Jr. figure. 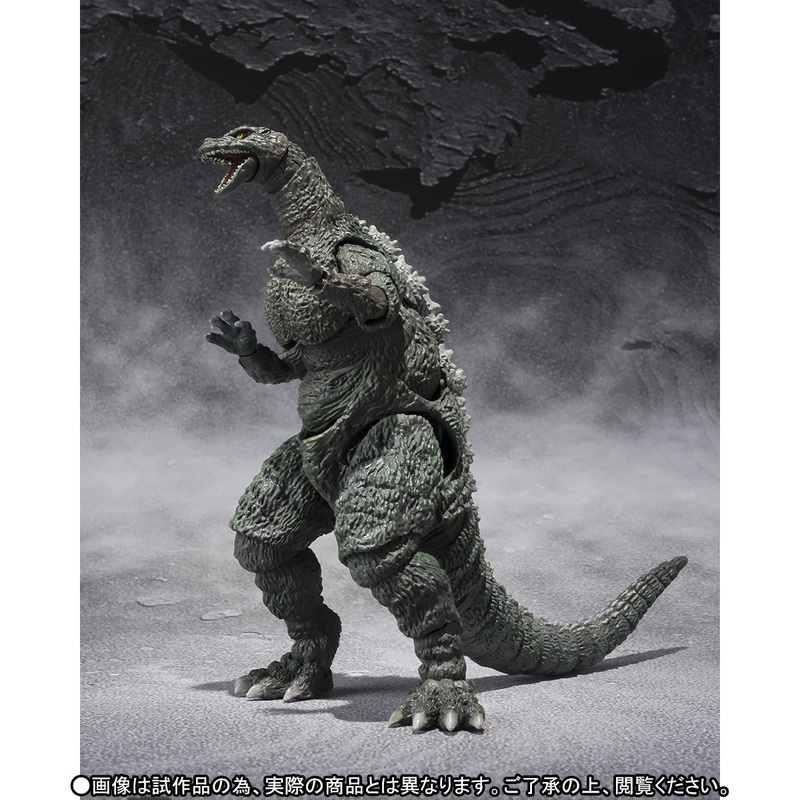 The Bandai Premium Web Shop has posted up the product page for their exclusive S.H.MonsterArts Godzilla Jr. Special Color Version. this version looks to lose the two helicopters that were included with the original release. 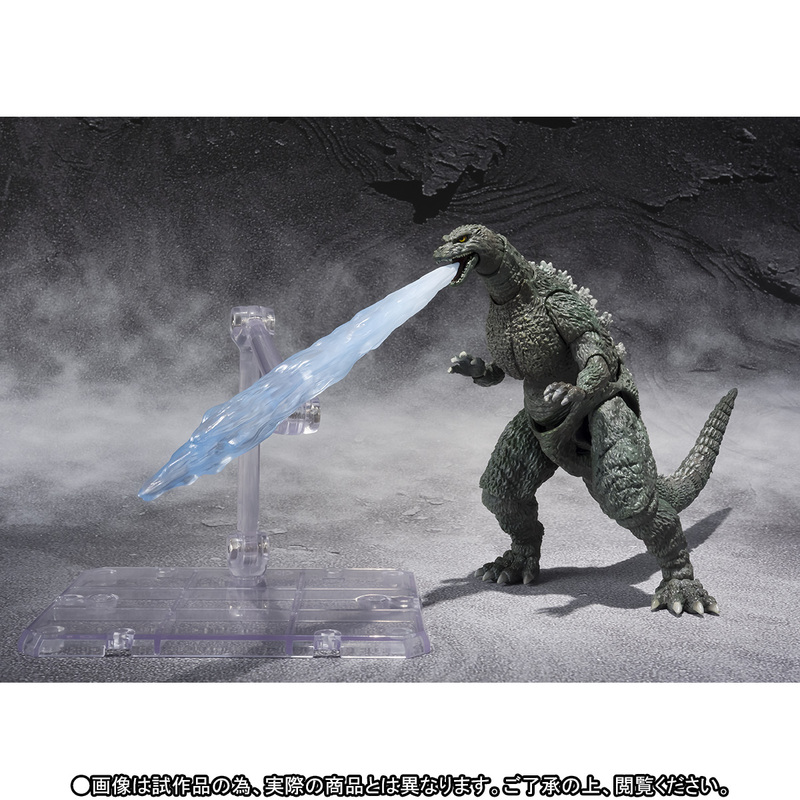 However, the figure will now include an atomic breath effects piece as well as a stand. 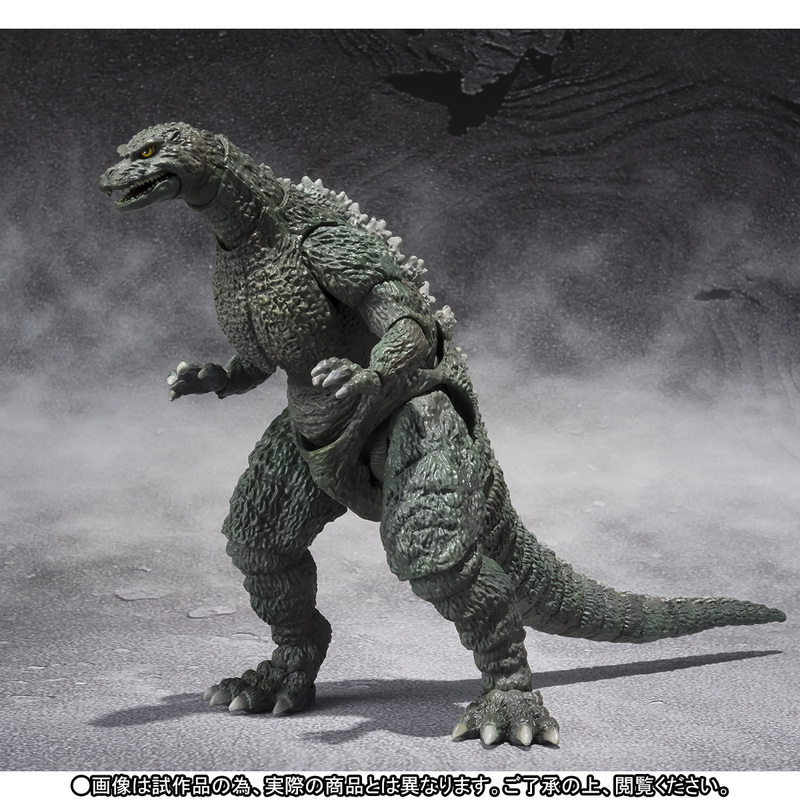 Godzilla Jr. is noticeably smaller than most S.H.MonsterArts Godzilla figures, as it will stand only 4.3″ tall. 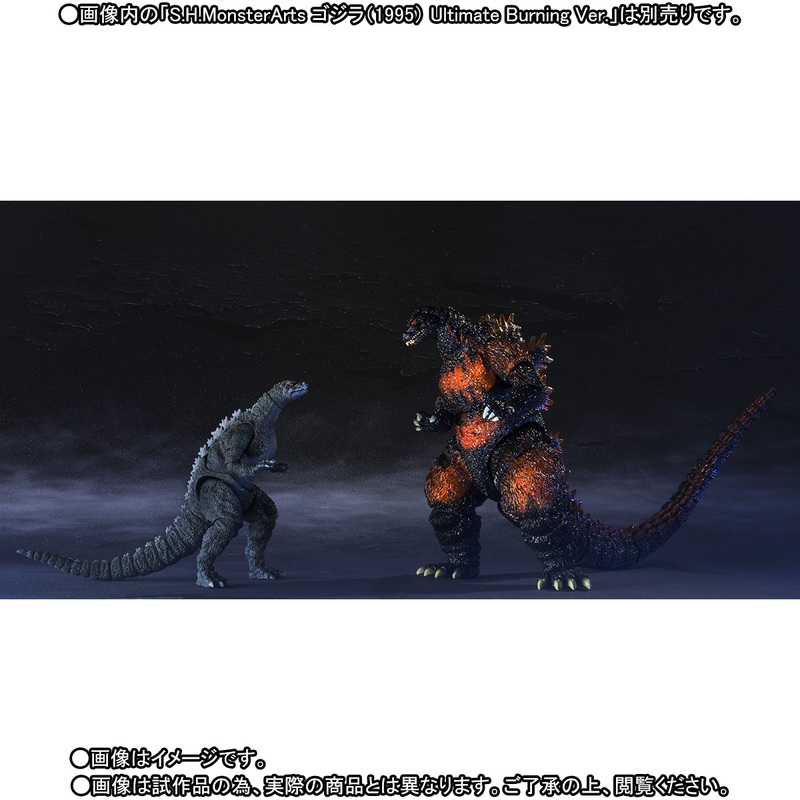 The S.H.MonsterArts Godzilla Jr. Special Color Version will e available to pre-order starting June 23rd. 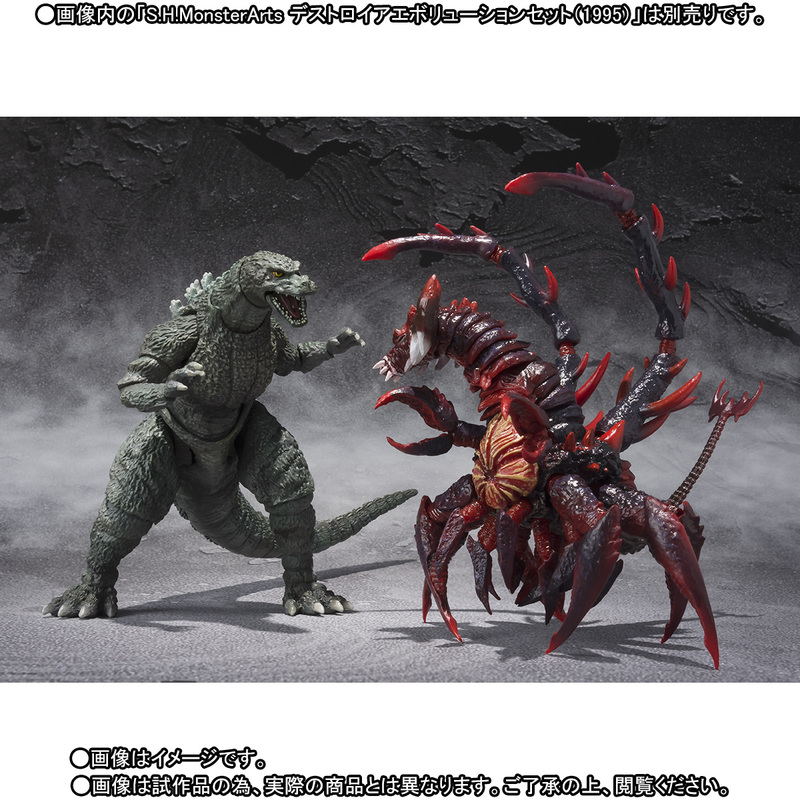 The figure is scheduled for a Japanese release in November. It’s priced at 5,616 Yen (about $50 USD). See a few photos by reading on. 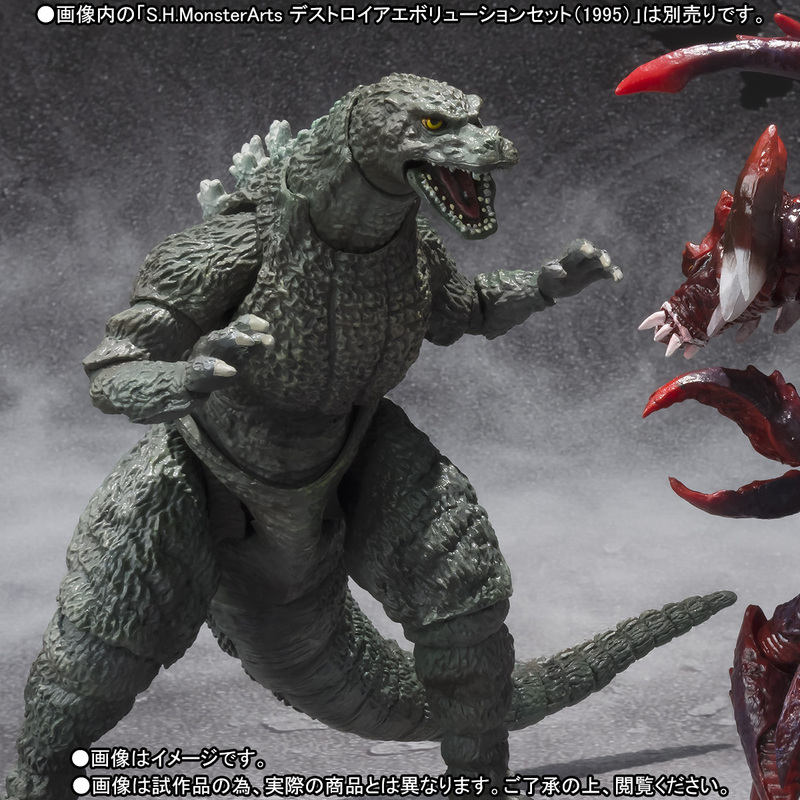 As much as I don't care about this one I'm game for the inevitable repaint of SpaceGodzilla. I had the opportunity to get the original for like 50 bucks a couple of years ago and I'm still kicking myself for not buying it. As silly as the character is SpaceGodzilla is a favorite of mine, maybe it's because I have a thing for the evil counterpart trope. Please, just kill the line now. Please show it mercy Bandai. Kill the line or release Mechagodzilla, what now? 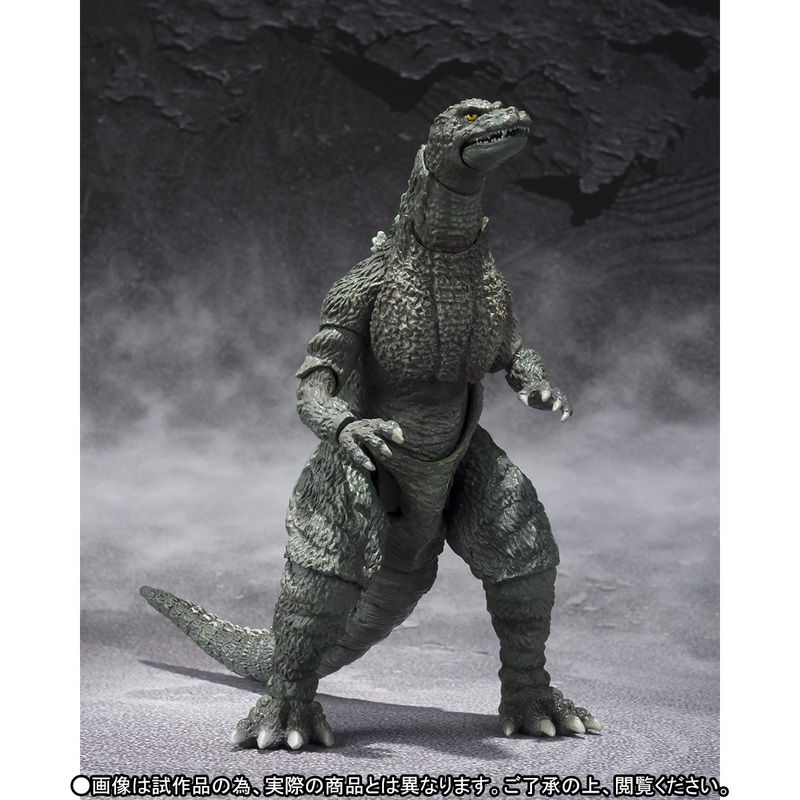 They just said last week they're planning to sell Mechagodzilla, it could take a few months until they put him up for pre-order.